I AM MICHAEL screens on Thursday, July 23: Opening Night/Museum of Fine Arts, Houston. QFest takes over multiple screens in Houston from July 23-27 at various venues across the city, including the MFAH, Rice Media Center, The Houston Museum of African American Culture and Aurora Picture Show, with a stellar line-up of must see films, and an opening party at DiverseWorks on July 22. A + C editor in chief Nancy Wozny visited with QFest artistic director Kristian Salinas on QFest’s outstanding program. In light of recent events, this year should be big one for QFest. How does it feel from where you are standing? I have always believed that sharing one’s personal stories with others allows everyone, regardless of background, to recognize all that we share in common, rather than the few things that make us different. Generally, Civil Rights follows an evolutionary process. I’d like to think that by being an inclusive organization, QFest, over the last 19 years, has had an impact on the way people view and relate to the LGBTQ community. NASTY BABY screens on Saturday, July 25: American Centerpiece/Museum of Fine Arts, Houston. Congratulations on hitting the 19th anniversary. To what do you owe QFest’s staying power? Our programming, our venues, and our audience. There were several years we almost didn’t make it, namely 2009, the year after Hurricane Ike. However, The Museum of Fine Arts, Rice Cinema, Aurora Picture Show, Southwest Alternate Media Project and Houston Cinema Arts all jumped in at a critical moment and helped to make possible our 15th Anniversary, fondly referred to as our Queercinera! 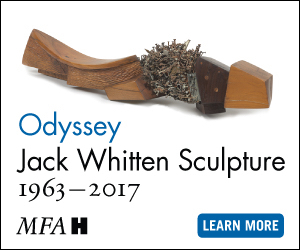 Since then, we’ve established a program that is second to none, reflecting community diversity, topicality and artistic merit. We continue to welcome new venues each year, from art nonprofits including The Houston Museum of African American Culture, community service organizations, such as The Montrose Center, local businesses supportive of the arts like Brasil Cafe, and even area bars and nightclubs–FBar and Ripcord both host screenings this year. We consider each of these opportunities a part of our ongoing community outreach. Finally, we have our audience to thank. It’s a real pleasure to see familiar faces year after year, many of whom have been attending since we were known as HGLIFF. A number of these individuals also continue to contribute to the festival. Even during uncertain times, they lent their support and it means a great deal to us to know that people value what we do. Let’s get to the films. 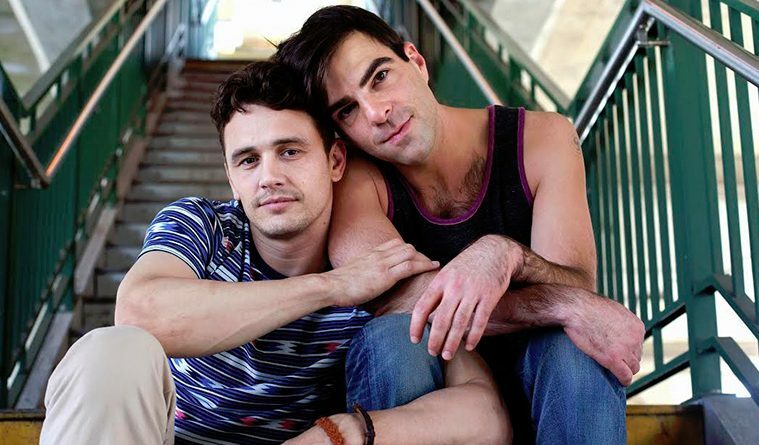 You open with I AM MICHAEL, which centers on controversial former gay rights activist turn anti-gay Christian minister Michael Glatze. Talk about a hot button opener! Tell us why this film gets the key spot. I AM MICHAEL is one of the best films I’ve seen addressing the unfortunate divide that oftentimes exists between the LGBTQ and Faith-Based communities. Just look at the response to marriage equality taking shape in “religious liberty” legislation. Michael Glatze’s own role as a once prominent gay-rights activist who converted to Christianity while so publicly denouncing his homosexuality led to the anti-gay movement using Glatze as their poster child for conversion therapy and pushing further the falsehood that homosexuality is a choice. Through his actions, Glatze hurt many young queer people who once looked up to him as a role-model, and there was much disdain expressed by younger queer activists towards the making of this film. However, director Justin Kelly, who also co-wrote the screenplay, manages an even handed approach, portraying Glatze as neither saint nor sinner, only as human, culminating into one of the most satisfying movie endings I have seen in a long time. We are proud to host Mr. Kelly’s visit and will be awarding I AM MICHAEL our inaugural FREEDOM OF VISION award. 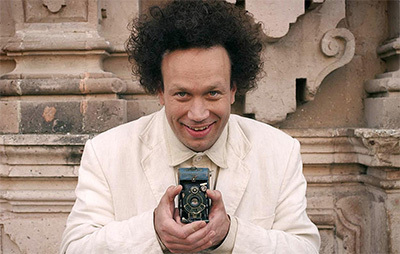 EISENSTEIN IN GUANAJUATO screens in Sunday, July 26: Experimental Centerpiece/Rice Media Center. Can you highlight a few films? Each year, this question gets harder to answer. We have almost 30 programs this year, each of which was selected from over 127 entries. That said, I would first suggest taking a look at our roster of seven Centerpiece films, including I AM MICHAEL and Closing Night Film TANGERINE. There are two American Centerpiece films this year, one starring Kristen Wiig (NASTY BABY) and another featuring Robin William’s final performance (BOULEVARD). Our International Centerpiece stars Oscar nominated actor Demian Bichir (DEATH IN BUENOS AIRES), our Documentary Centerpiece brings Tab Hunter to town (TAB HUNTER CONFIDENTIAL), and our Experimental Centerpiece features the newest film from internationally renowned director Peter Greenaway (EISENSTEIN IN GUANAJUATO). DEATH IN BUENOS AIRES screens on Saturday, July 25: International Centerpiece/Rice Media Center. Personally speaking, one of my favorites is the Russian film STAND, directed by Jonathan Taieb. Made in response to Russia’s terrifying and appalling laws against LGBTQ people and shot secretly by its cast and crew to avoid arrest by Russian authorities, STAND centers around an affluent gay couple who witness a man being beaten by a gang of thugs. Learning later of a man who died from sustained injuries, the couple begin an investigation to expose the individuals behind the attack, ultimately putting themselves in grave danger. Awards are part of film festival culture and this year, The Museum of Fine Arts, QFest and Senorita Cinema will present a Lifetime Achievement Award to acclaimed Venezuelan director Fina Torres. Give us a taste of his career. Fina Torres’ body of work reflects the stories of empowered women who fearlessly follow their hearts and uncover their destinies. With just six feature films, Ms. Torres has proven herself an incredibly accomplished director. Her first feature film, ORIANA, won the Camera D’Or at the 1985 Cannes Film Festival. She followed her auspicious debut with 1995’s CELESTIAL CLOCKWORK, her first film to receive a nationwide US theatrical release. Five years later, she directed her most successful film, 2000’s WOMAN ON TOP, starring Penelope Cruz. TANGERINE screens on Monday, July 27: Closing Night/Rice Media Center. Openly lesbian herself, Ms. Torres brings fully formed, proud queer characters to life, and has been doing so well before it became fashionable: CELESTIAL CLOCKWORK features what is perhaps the first gay marriage in a church, and WOMAN ON TOP concludes with Cruz’s cross-dressing sidekick getting a boyfriend of her own. In addition to featuring 35mm prints of both CELESTIAL CLOCKWORK and WOMAN ON TOP, we will also be featuring Ms. Torres’ newest film, LIZ IN SEPTEMBER, a love story centering on two very different women whose individual tragedies lead to a shared redemption.